For our 2nd day (technically 3rd) in Kuala Lumpur, our plan was to take the hop-on, hop-off bus and visit the following places: National Palace, National Museum, Lake Garden, Bird Park, National Mosque/Masjid Negara, Merdeka Square, Jalan Raju Laut/Chow Kit, Taman Tasik Titingwasa, KLCC/Petronas Tower, KL Tower and Jalan P. Ramlee. We didn't get to do it because opted for a DIY walking tour (picture heavy!) on various sites! It was more fun and educational. 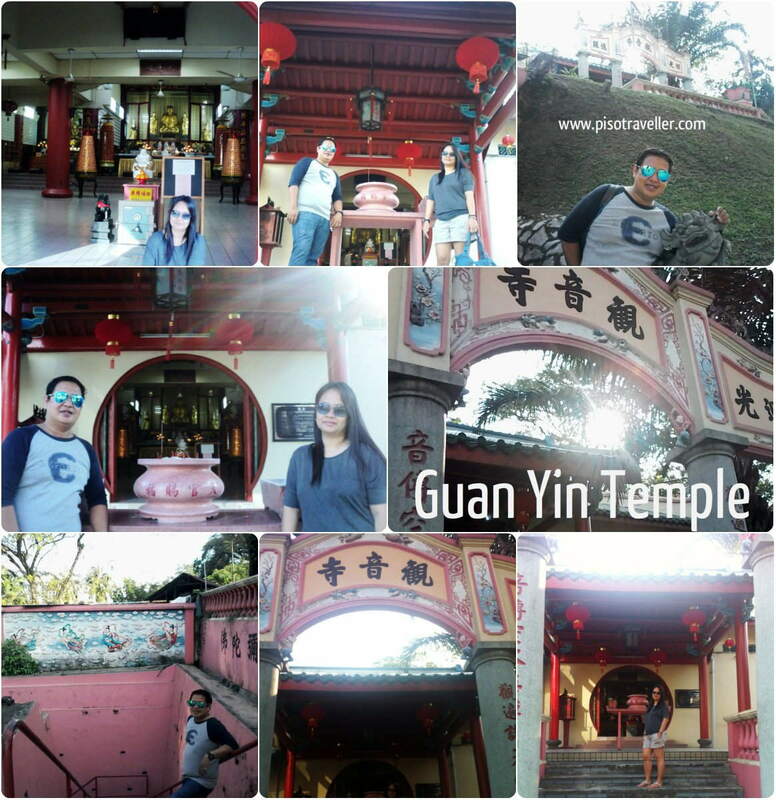 Dedicated to the bodhisatva of compassion, this cement temple was originally built by Hokkien Chinese in the 1890s and served as a place to say prayers for those buried in the graveyard that was once located on the hill. On the first and 15th day of the month in the Chinese calendar a free vegetarian meal is served here. One of the largest and oldest surviving Buddhist temples in Malaysia. 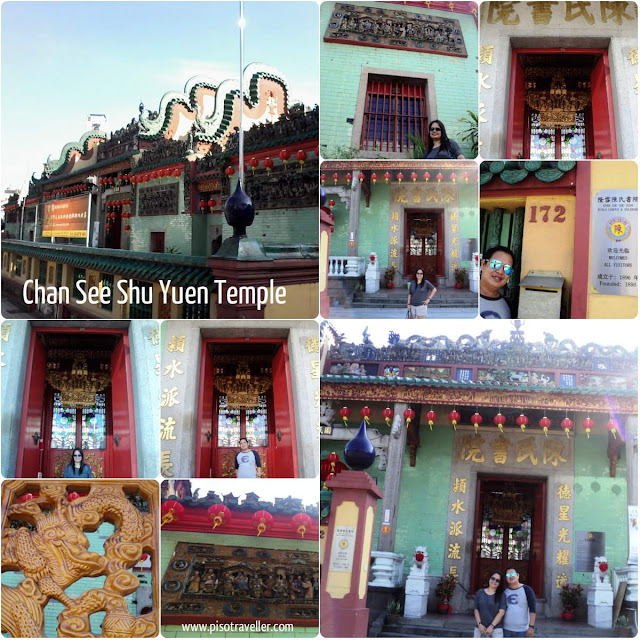 Located at the southern end of Jalan Petaling, it is characterized by a typical open courtyard and symmetrical pavilions, and decorated with colourful paintings, woodcarvings and ceramic fixtures. 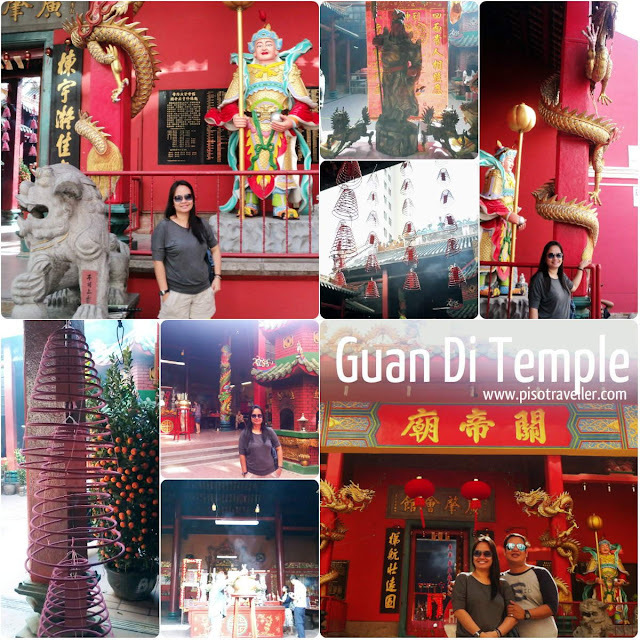 Built between 1897 and 1906, it is quite an elaborate temple: from outside you can see the intricately carved kwang-tung roof, gables and specially-crafted terracotta friezes with monumental Chinese history and mythological scenes. The interior of the main temple has pillars with scenes of gold-painted warriors battling lions, dragons and other mythical creatures. The Gurdwara Sahib Polis is a Sikh temple located along Jalan Balai Polis, on the southern end of Kuala Lumpur's Chinatown. It was built by the Government of the Federated Malay States in 1890 to cater to the religious, social and cultural needs of the Sikh police force. 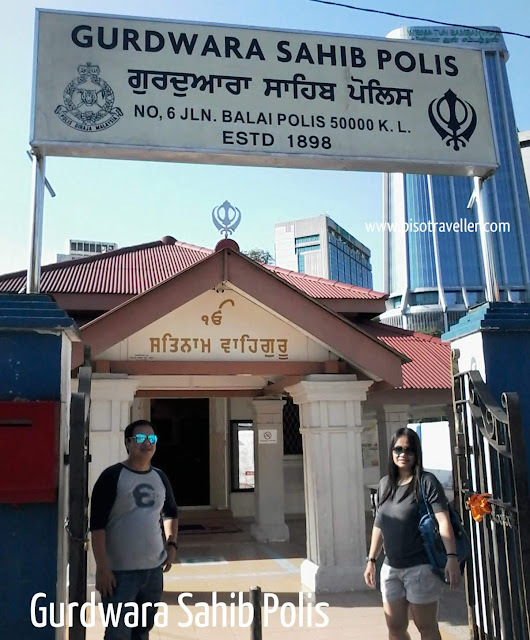 It is the first Sikh police gurdwara in Kuala Lumpur. The present structure maintains its original design. An Old Post Office. According to some blogs I have read, a red flag was raised each time mail arrived by sea and residents would gather outside the post office to collect their letters. It is now the Malaya Hainan Restaurant. 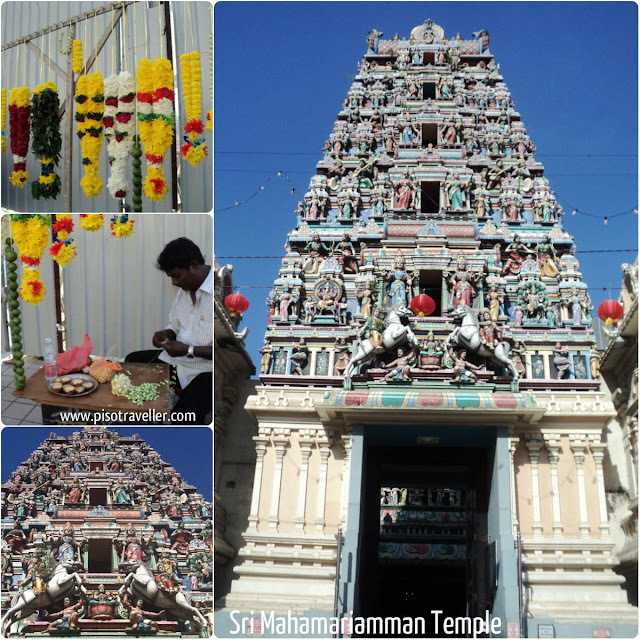 This stunning Hindu temple is one of the oldest (founded in 1873)and magnificent 22-metre-high gate tower and portico are adorned with intricately carved images of Hindu deities. Located within are the deities of the Hindu goddess Maha Mariamman embellished with gold and precious stones. A 124-year old beautiful Taoist Temple in China town in Jalan Tun H.S Lee.